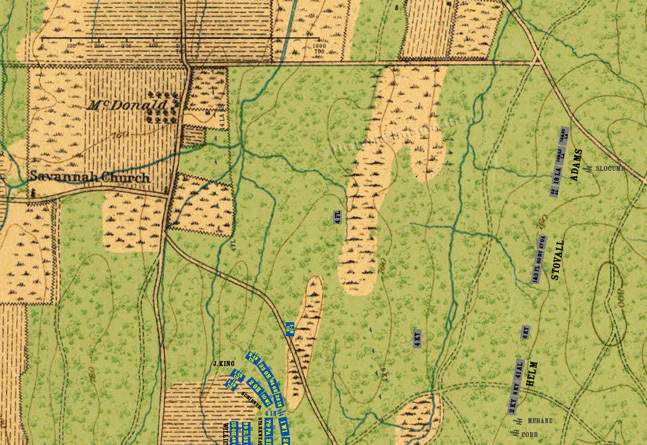 Stovall and Adam’s skirmishers reach the Lafayette Road and immediately begin firing upon wagon traffic travelling between the Union army and Chattanooga. This sends wagons and detachments scurrying in all directions. The skirmishers of Helm’s Brigade engage those of the 1st Battalion, 18th U.S. and other Union regiments along Kelly Field.